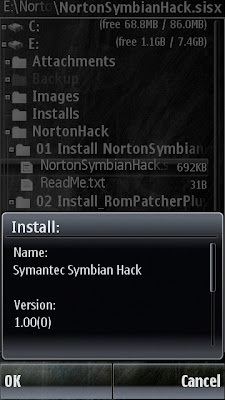 Install NortonSymbianHack.sisx and Launch it. 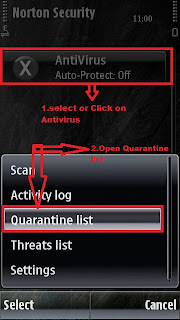 On Quarantine list there will be three files that makes the synbian not to check for certificate, then select "OPTIONS". 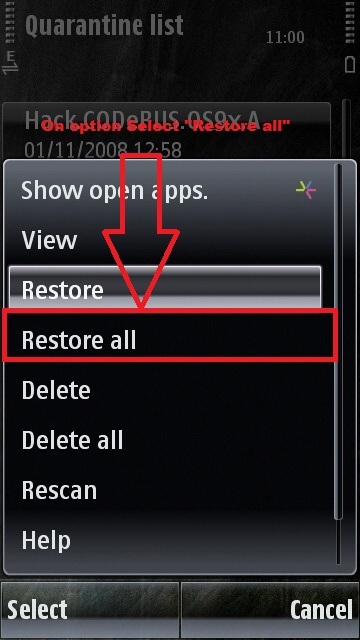 Some options will be displayed as shown below on that Select "Restore all". 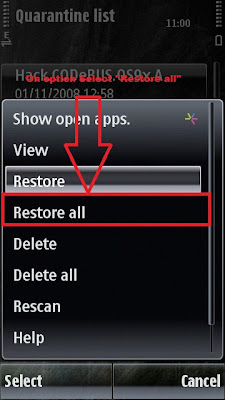 Now you can exit and uninstall "NortonSymbianHack". 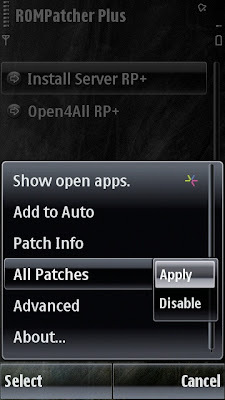 Lanch the application,then select "OPTIONS"----> some options will be displayed on that select "All Patches" and click "Apply". i just want to thank you for this tutorial, now ican enjoy my smart phone, so thank you again. 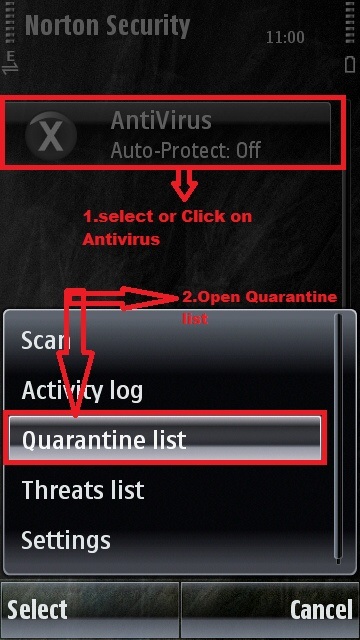 I restored the quarantined files..bt wen i tried installing Rompatcher it gave an "certificate error contact the supplier".